Convened by the professional lounge of the Audiovisual technology, this international platform will bring together technological projects of value and growth applied to this field. 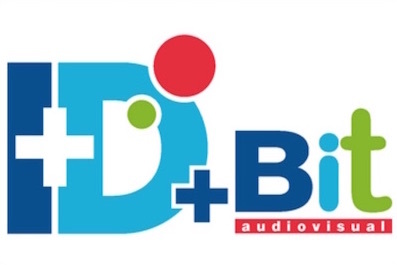 With the aim to promote r & d projects that develop technologies with high value added and potential of growth applied to the audiovisual industry, the next edition of Audiovisual BIT, Professional exhibition of Audiovisual technology that organizes IFEMA from 8 to 10 may, convened the 2nd Edition of Audiovisual I+D+BIT. It is an initiative of participation free, open to the University and the companies of Spain, Portugal and Ibero-American countries, focused also to recognize the work of professionals and entities that make up the world of research in the sector audiovisual, whose role is essential in this sector, and which will contribute to a better understanding of the projects by their intended beneficiaries, both companies and professionals in this industry as society in general. A selection Committee, chaired by the director of technology, innovation and systems of RTVE Corporation, Pere Vila, It will consider the research projects according to their contribution in terms of the chance of the research carried out; their ability to influence the future development of the audiovisual industry; its potential application; the originality of its approach, method or object, as well as the ability to gather and build collaboration among different stakeholders, and decide which projects will integrate BIT Audiovisual 2018 I+D+BIT. The selected projects will receive an important benefit in notoriety and broadcast, which will be backed by a broad news coverage that will place the I+D+BIT Audiovisual platform and its contents in a position of great visibility in the media of communication. In addition, the projects selected will have the opportunity to be part of the exhibition of Audiovisual I+D+BIT presenting informative posters format, the characteristics of each job and will also have a forum for presentation to the sector in the framework of the Technical conferences of the fair programme.